Fifteen years after the fall of Taliban rule, Afghanistan remains ravaged by war and instability. Recently the EU and the Afghan government co-hosted the Brussels conference on Afghanistan. 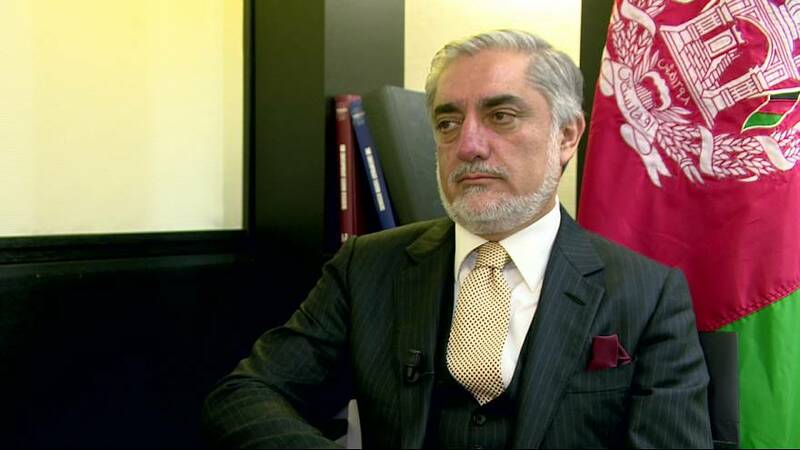 One of the country’s top leaders, Abdullah Abdullah, spoke to euronews at the summit. Anyone who uses force and acts beyond the rule of law should be stopped. Dr. Abdullah, Chief Executive of Afghanistan, welcome to Global Conversation. In the past and even now, there has been criticism about the way international aid is spent in Afghanistan. Some regard it as wasting money or consider it to be mismanaged. What assurances can be given to the international community that the cases which may have existed in the past will not recur? Thank you. Of course, fifteen years ago, when the cooperation of the international community started with Afghanistan, it was different times. Government departments in Afghanistan were not strong enough, the priorities were not clear and there were problems in planning the projects. Probably in the first years, hundreds of millions of dollars were spent on technical aid in the recruitment of consultants in different departments and ministries. But part of the problem was related to corruption, which was often related to the contracts. Recently, there have been structural reforms in the contracts and the work continues. People have the right to be given guarantees about this. They expect us to do this and we are committed to them. Whether on the issue of domestic revenue or international aid, the people of Afghanistan want these amounts to be spent in a very transparent manner and with very clear accounting, both for the people and the donors. Positive steps have been taken that have been agreed with the international community, but more work needs to be done. The presence of former warlords in governance, their influence and the fact that some of them are acting beyond the rule of law, this has been a constant source of concern and discussion. How can one imagine that in the near future everyone in the Islamic Republic of Afghanistan will be under the rule of law? Well, this has been a process. Compared to the previous years, the situation has improved. Anyone who uses force and acts beyond the rule of law should be stopped. People’s complaints about this should be looked into. However, generalising this and putting the personalities into one category based on their past is something that I do not agree with. After the announcement of the presidential election results – which took a long time – the National Unity Government, whose name gives hope to many, was introduced. In the meantime, we hear that the President and the Chief Executive have two separate teams. If there is such a thing, can you be clear about the reason? If not, if there is no such resentment between the two, can you state that it is so, so people’s minds can be put to rest? So you are asking: tell us if there is, tell us if there isn’t? Well, everybody expects the National Unity Government to perform well. Also, at this conference, we had discussions on different topics. Many were emphasising the importance of unity within the National Unity Government. The basis for the work of this government is the agreement which was signed before the transfer of power – there is no alternative for a government of national unity. Of course, it can only be altered when the next presidential election is held, when everyone will get the opportunity to have their say. This road is always open to the people. The good thing about the democratic process is that the people can judge the governments. We hope that we all can use this possibility in the best way. It is being said that part of the aid given to the Afghan government is in exchange for admitting a great number, up to tens of thousands, of deported Afghan immigrants from Europe. What is going on? Has there been such a deal? Absolutely not! Absolutely not! With no doubt the issue of immigrants and asylum seeking in Europe has turned into a difficult problem – it has been a topic of discussion between Afghanistan and the European Union officials. But the discussions have been totally separate from the agenda and the preparations for the Brussels conference. The recent Taliban attack on Kunduz in Northern Afghanistan is cause for concern, and it was somewhat overshadowing the conference. How are peace talks going with the Taliban? Can an agreement similar to the one reached with the group Hezb-e-Islami be reached with them? Unfortunately the Taliban still believes in military victory and military performance, while the government of Afghanistan has kept the gate of peace and dialogue open. Nevertheless, the principle of solving the issue through dialogue continues to be the basic position of the Afghan government. Similar to our position with Hezb-e Islami party leader Gulbuddin Hekmatyar, accepting the Constitution of Afghanistan, abandoning violence and cutting ties with terrorist groups are the points, without which, peace cannot materialise. A final question. Regarding the popularity you have, would you be interested in becoming a candidate in the next election? At this stage I think all my attention and focus is on serving the people in the framework of the National Unity Government. Taking into consideration that the people voted both for the president and me – and the circumstances were such that the votes were put together – our utmost attention should be focused on serving the people. Until then, who knows.